If an Orphan in New York city refuses to throw away his shot and Lin-Manuel Miranda doesn't write a musical about it-- did it really happen at all? Lin-Manuel Miranda's award winning Broadway phenomenon Hamilton captivated audiences everywhere and ruined my life, but did you know that there is another musical that can revive your broken musical theatre soul just to trash it all over again?! Well, good news! 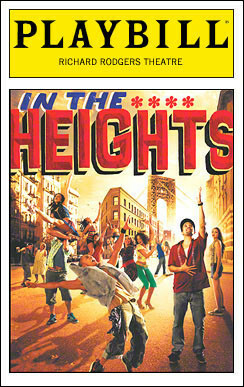 It's Lin-Manuel Miranda's other award winning musical In the Heights! 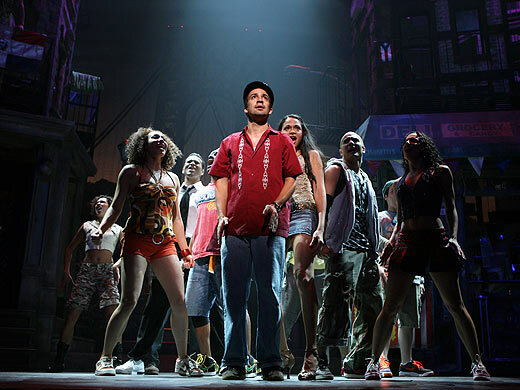 The musical follows Usnavi, a first generation American from the Dominican Republic, and the immigrant community of New York's own Washington Heights. I've been listening to this musical a lot this past few months, and it has quickly soared to one of my all-time Broadway favorites. As Joshua Henry, Jonathan Kirkland, and Mandy Gonzales join Lin-Manuel Miranda and Christopher Jackson as In the Heights alums to appear in Hamilton, I thought I'd take a look at some other similarities between the two shows (beside the fact that Lin is striking basically the SAME POSE in both playbills I mean come on dude be a little more obvious). You: But Molly! 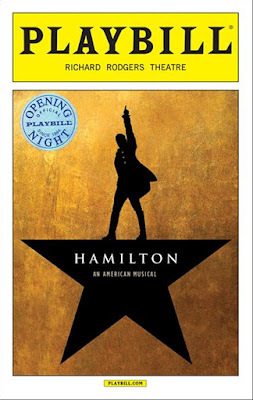 If I liked a historical musical about the Revolutionary War, why would I like a completely different musical about a completely different time period, even if it is by the same guy? Me: Ah! I'm so very glad you asked at such a convenient time to help me transition my article! Of course, the first thing you notice is the setting. Both of them are in New York during periods of huge transitions. Hamilton is set during the revolutionary war, and In The Heights is a lot more modern, set in the NYC neighborhood Washington Heights. Back in 1999, when Lin first wrote it, it was supposed to be present day, so it was smack in the middle of the computer age and all of the changes modern technology brought about. They especially highlight how that technology missed the poorer communities and brought huge stratification within the school systems while rich kids got computers and the poorer immigrant neighborhoods couldn't even afford books (see '96, '00). Next, we take a look at the main protagonists (Featuring Lin who played both of them in the original casting-- and who strikes the exact same pose in each of these pictures). Alexander Hamilton and Usnavi are both orphan immigrants from the Caribbean who start out with nothing and through persistence and hard work they rise up (pun intended). Usnavi is the son of two immigrants from the Dominican republic who died after reaching the states when he was very young. Alexander is an immigrant from Saint Kitts whose mother died when he was very young. 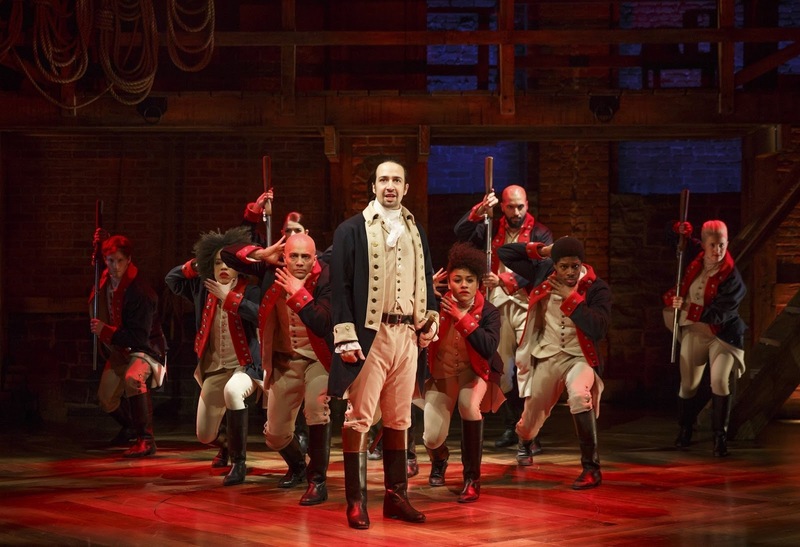 Both communities rally around the protagonists to help raise them to succeed at a young age; with Hamilton receiving the funds to come to America from his community, and Usnavi being a staple in the community and working with them like a family. They both have big dreams, and wonderful leading ladies to give them a kick in the tukus when they really need it. This brings me to my favorite musical theatre feature of all time: strong leading ladies! God, I love these strong female protagonists. We know Angelica, Eliza (and Peggy) from Hamilton, and now we have Nina and Vanessa in In the Heights. Nina and Vanessa come from different socioeconomic statuses and different homes. Nina's family is particularly well off for the neighborhood of Washington Heights, and her parents have a healthy relationship and send her off to Stanford on a scholarship to pursue higher education. Vanessa is not as well off, lives with an abusive mother, and is struggling to save up to get to downtown NYC where she believes things will be better. I love these ladies because, even though there are romantic subplots, they have motives other than romance, and neither one of them give up on their dreams or change their lives because of boys. Go girls! Here's another cool part, and the last thing I want to highlight (so I don't give away the whole musical): a couple of the lyrics from In the Heights appear very similar to those in Hamilton. You can see either Usnavi or Alexander saying these things interchangeably and some of the lyrics are nearly identical. Have you seen these award winning favorites? What did you think about these similarities? My name is Molly Jarman and I read history books for fun.